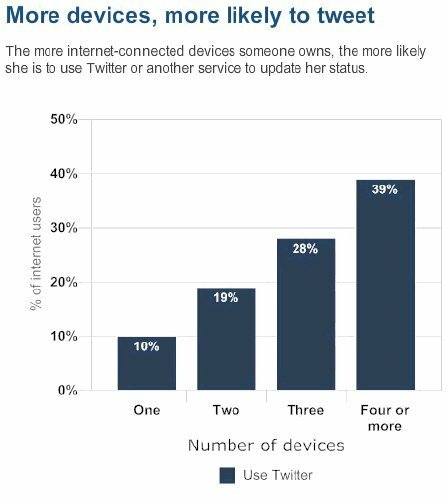 A survey from the Pew Internet and American Life Project reports that younger internet users (18 to 24 years-old) are more likely to use Twitter than any other age group. 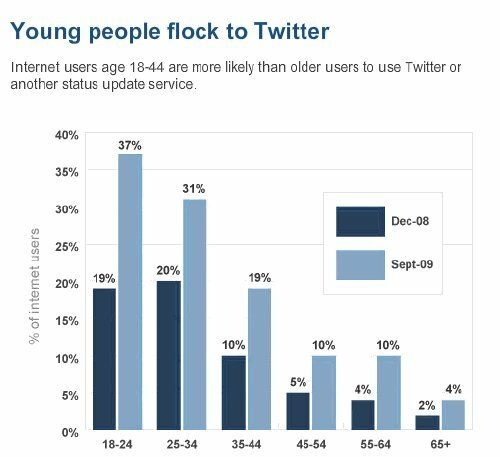 Research in December 2008 found that users in the 25 to 34 year-old age group where slightly more likely to use Twitter than their younger 18 to 24 year-old cohort, but the young 'uns are now in the lead. age for this social network site is now 33, up from 26 in May 2008. Read the whole study at the Pew website.